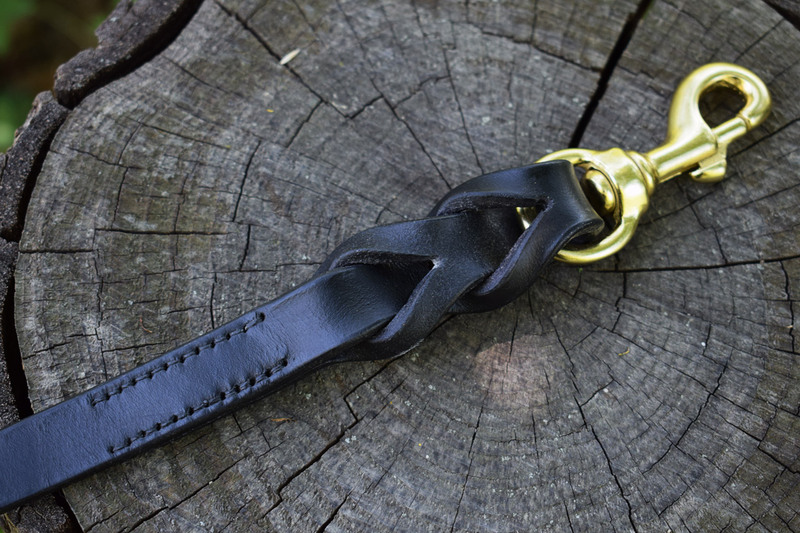 Braided leather reins with snap hooks made in black leather and solid brass snap-hooks. These reins are english style, with center buckle. 3/4" wide and 55" long, made in black leather but other colors are available as well. Stainless steel snap are also available. 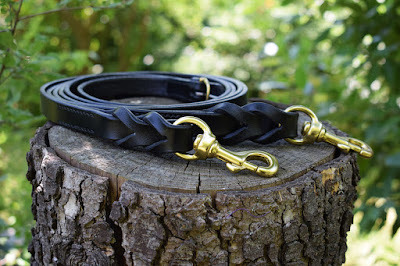 I can make these reins in about one week from order confirmation. Contact me for more information and available colors.